Every living creature wants to increase its lifespan at all costs. Surprisingly, it is not humans who have mastered the art of survival, despite being capable to create medicines and perform complicated surgeries such as organs transportation. Does the very idea of eternal life seem impossible and ridiculous to a person living in the 21st Century? Apparently, human lifespan has increased drastically in recent decades, therefore it is worth accepting the simple fact that our current lifestyle and mentality helped us excel in increasing average lifespan. Although stress level has escalated due to high competition, social issues, and global ecological troubles, it failed to intervene the positive tendency and we are now happy to say we’ve reached new heights and understanding of the mechanisms behind longevity and great health. Not only scientists, researchers, and doctors are aware of factors determining the quality of life and lifespan of a human being, but also ordinary people like you and me enjoy easy access to valuable information regarding healthy lifestyle, mind power, and intelligence. These days we admit the fact body and mind are bonded and both should be taken good care of through prophylaxis and timely medical intervention if necessary. The tendency to use prophylactic methods rather than dealing with mental or physical illnesses is amazing and it allows people to take a totally new perspective on life in general. Prevention is the key to a peaceful happy life without painkillers, over top medical expenses, time waste and depression. Chronic recurring diseases as well as minor health issues bring chaos, disrupt the affected person’s life plans, which causes the patient to feel down, and depressed. Depression and negative mindset turn the self-destruction mode on and body systems can no longer function in the absence of medical treatment. Sadly, western culture does not teach people how to use mindpower in order to achieve great health, which is a serious omission in my opinion. People spend huge money on plastic surgeries and cosmetic treatments to look young, still, they are too old inside to be capable to emanate a young energy that defines youthfulness. 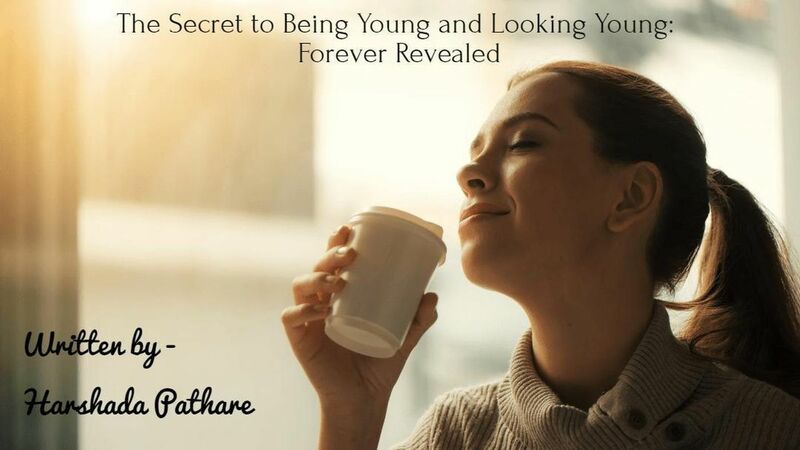 Do you want to stay young at heart and look young with your naturally beautiful wrinkles? A healthy mind is a base for your good looks and great health! Whenever it comes to eternal youth concepts, there is no such thing as drawing a thick line between body and mind. Both are super important and play equal roles in making a person appear young. A young looking post-surgery face may look great in photos, but in real life, it will come in dissonance with sloppy shoulders, bad posture, heavy walk and, most pessimistic mood and low self-esteem most plastic surgery fans are famous for. The first step to becoming young again is returning to yourself and learning what your life goals are. As soon as you fall in love with yourself, you will notice magic transformations starting to happen in your mind and your body. Simple by changing your attitude, you will start making good food choices and you will definitely become more optimistic and lively. You cannot look young while feeling old inside. Body and spirit always come together; therefore a harmonious holistic approach to life only can bring you to the fountain of eternal youth, self-acceptance, and happiness. Once you learn to stay in touch with your body and mind, you will get access to some of the world’s most powerful natural rejuvenating and healing instruments you can’t find in a doctor’s office or your local pharmacy. As far as western medicine, it is mostly oriented at symptoms’ alleviation rather than actual healing. Fast solutions help save lives, still, they do not force people into mastering basic healthy lifestyle skills and literally promises a miserable life that is impossible without daily medicine intake and regular medical interventions. I believe the human body is a smart mechanism that is capable of healing itself with no extra help from the outside. Apparently, no one can doubt benefits of massage therapy or acupuncture, both being amazing holistic instruments. However, these should not be put in the same category with surgical interventions since are aimed at preventing diseases, not dealing with the aftereffects of one disrespecting his physique and disregarding basic healthy lifestyle principles. Intelligence, diligence, sense of proportion, kindness, humbleness, and sincerity make you look young beautiful, healthy and gracious while anger, impudence, envy, and egoism cause your face to change over years and transform into an evil mask. They say you always get a face that you deserve by the age of 40. Are you constantly working on your spirit as well as on your physique to ensure gradual ongoing self-growth? Everybody is great at growing old. Try growing young by using these astounding techniques. Reach your full physical and spiritual potential to live in bliss.